Chart compiled by Estonian Maritime Administration. It provides the user with the information on the nature of the coast and sea bed, water depths, main aids to navigation and landmarks, port approaches, marine hazards etc. Scale 1 : 50 000, Size: 977.1 x 667.2 mm. Kőpu Peninsula. Chart compiled by Estonian Maritime Administration. It provides the user with the information on the nature of the coast and sea bed, water depths, main aids to navigation and landmarks, port approaches, marine hazards etc. Scale 1 : 50 000, Size: 718.4 x 955.0 mm. Heinlaid Islet to Kübassaare Peninsula. 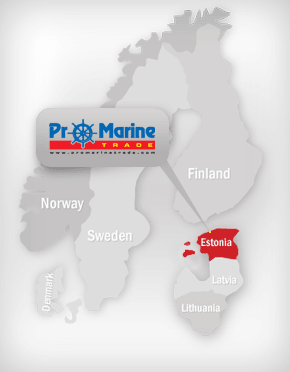 Chart compiled by Estonian Maritime Administration. It provides the user with the information on the nature of the coast and sea bed, water depths, main aids to navigation and landmarks, port approaches, marine hazards etc. Scale 1 : 50 000, Size: 1044.1 x 681.1 mm. Soela Strait. Chart compiled by Estonian Maritime Administration. It provides the user with the information on the nature of the coast and sea bed, water depths, main aids to navigation and landmarks, port approaches, marine hazards etc. Scale 1 : 50 000, Size: 651.4 x 1033.9 mm. Tagamőisa Peninsula to Kőpu Peninsula. Chart compiled by Estonian Maritime Administration. It provides the user with the information on the nature of the coast and sea bed, water depths, main aids to navigation and landmarks, port approaches, marine hazards etc. Scale 1 : 50 000, Size: 957.9 x 639.5 mm. Vilsandi Island to Küdema Bay. Chart compiled by Estonian Maritime Administration. It provides the user with the information on the nature of the coast and sea bed, water depths, main aids to navigation and landmarks, port approaches, marine hazards etc. Scale 1 : 50 000, Size: 967.5 x 673.0 mm. Kőiguste - Kübassaare - Sőmeri. Chart compiled by Estonian Maritime Administration. It provides the user with the information on the nature of the coast and sea bed, water depths, main aids to navigation and landmarks, port approaches, marine hazards etc. Scale 1 : 50 000, Size: 957.9 x 706.4 mm. Sőrve Peninsula to Allirahu Islet. Chart compiled by Estonian Maritime Administration. It provides the user with the information on the nature of the coast and sea bed, water depths, main aids to navigation and landmarks, port approaches, marine hazards etc. Scale 1 : 50 000, Size: 996.2 x 681.0 mm. Vilsandi Island to Ariste Bay. Chart compiled by Estonian Maritime Administration. It provides the user with the information on the nature of the coast and sea bed, water depths, main aids to navigation and landmarks, port approaches, marine hazards etc. Scale 1 : 50 000, Size: 1044.1 x 708.2 mm. Pärnu - Kihnu - Sőmeri. Chart compiled by Estonian Maritime Administration. It provides the user with the information on the nature of the coast and sea bed, water depths, main aids to navigation and landmarks, port approaches, marine hazards etc. Scale 1 : 50 000, Size: 1015.4 x 694.3 mm. Ruhnu Island to Kihnu Shoal.